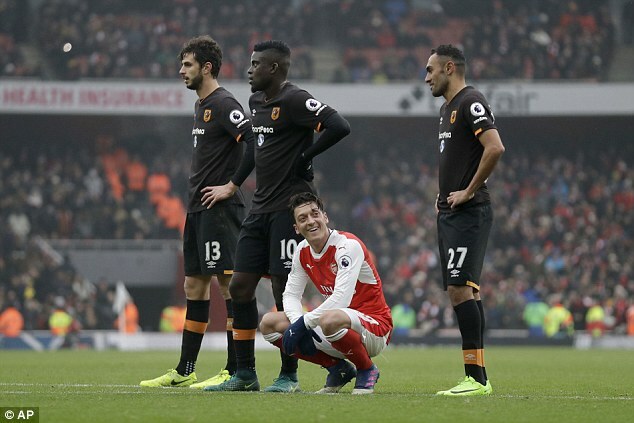 Marco Silva took heart from another encouraging performance and claimed Hull can avoid the drop despite a defeat at Arsenal which leaves them pinned to the bottom of the Premier League. 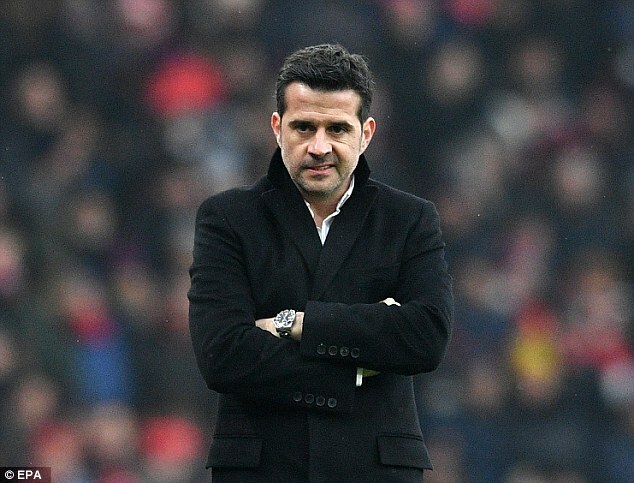 ‘I have confidence we can get out,’ said Silva. ‘It will be a big fight until May. We must show we deserve this. ‘Each game is a different story. We didn’t deserve this result. Some important decisions were not good for us. ‘They scored an illegal goal with a handball. Maybe (Kieran) Gibbs could have gone but I don’t want to talk only about the ref’s decisions. That’s not my job. 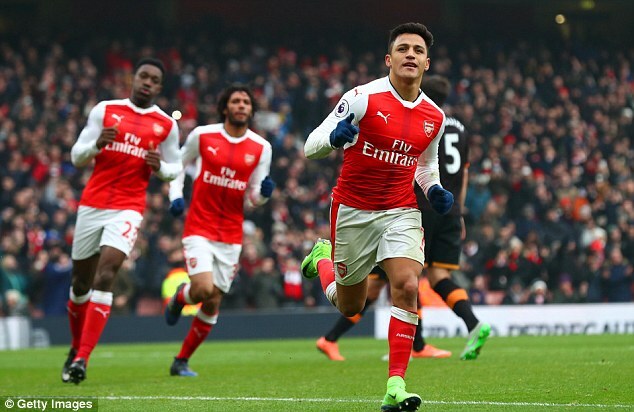 ‘We started well and caused problems for Arsenal. I prefer to take points than to play well because we need points. ‘We had another very good performance. But the most important thing is the result and it is not good for us.